Annaloom was founded by Anna-Louise Meynell in 2013, offering beautifully handcrafted textiles with original design from ethical and sustainable sources. Each piece is woven with natural materials, using traditional techniques and by inspiring artisans dedicated to maintaining exquisite quality in their craft. The ethos of Annaloom is to support traditional hand weavers through collaborative development of contemporary yet timeless textiles. 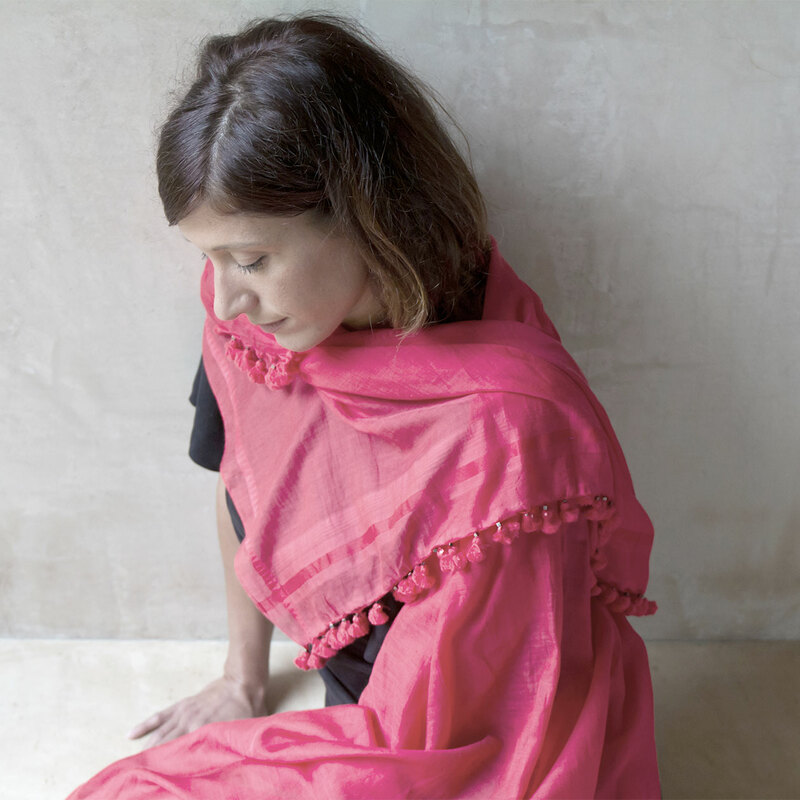 After graduating from Glasgow School of Art in 2001, Anna-Louise spent 7 years working for a high-end silk mill in India designing jacquard furnishing fabrics for clients across the globe. 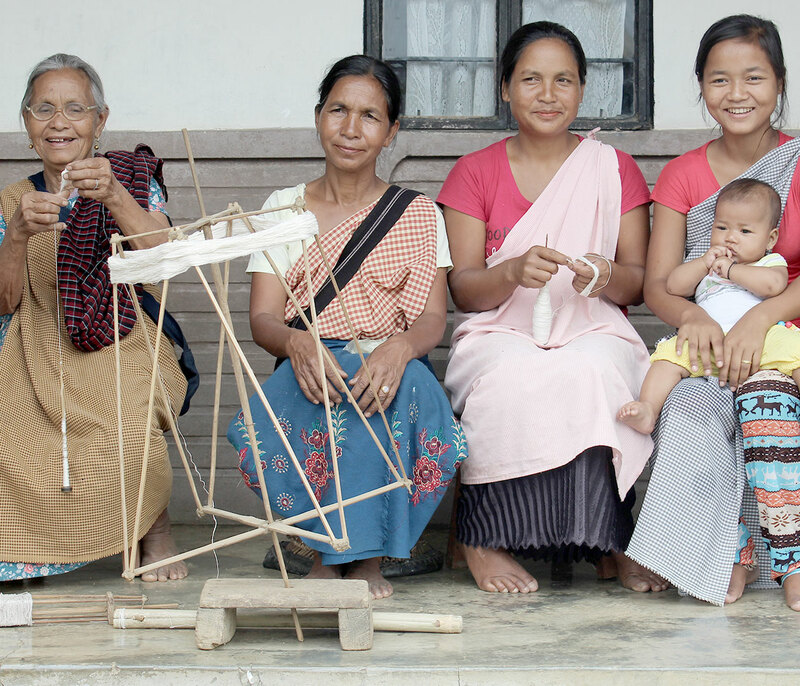 Over this period she met many talented artisans, and built up her network of craftspeople. 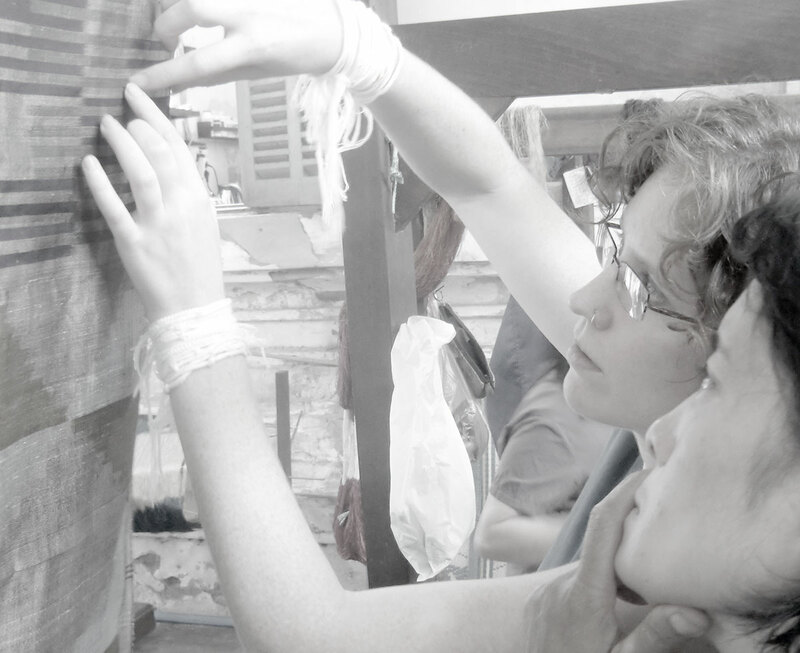 Her passion for the hand-made and respect for the skill of traditional artisans is the driving force behind Annaloom. With over 15 years experience in design, manufacture and sales in Asia and Europe, Anna-Louise brings a rich expertise to each new consultancy. If you are interested in collaborating on a project, please get in touch! Anna-Louise is doing a part-time PhD through London College of Fashion (Centre for Sustainable Fashion). Her research is an ethnographic documentation of eri silk handweaving in Meghalaya, North East India and the community approach to preservation of this artisanal heritage. There is growing activity amongst individuals, agencies and government to support the economic growth of eri silk production. This research seeks to compliment the drive towards productivity through a focus on the traditional methods of production and through understanding of the deeper socio-cultural significance of the cloth, the techniques and the artisans.